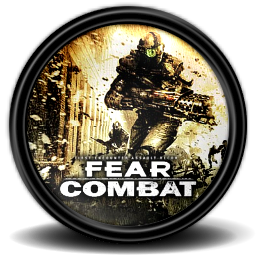 The FREE Game: FEAR Combat was shut down by GameSpy, the last service supporting It on 2013-Dec-05. It has been 1 year, 1 month and 5 days since then, and the game keeps moving. At that time, only 1/3 of the running Servers were SEC2 Servers. Today, all of them are SEC2 (Including those who claim are not!). The top 3 servers are full as I type. This has been thanks to the Development made by [eAu]Phreeze, the guy who has been donating his time to build a new master server, patch the existing server, and develop new and exciting features for the game. My role on this has been mainly support and co-development of the site, and other stuff needed, I’ve been doing It for about 2 years, but after the shutdown It has taken some of my time every day, no stop. 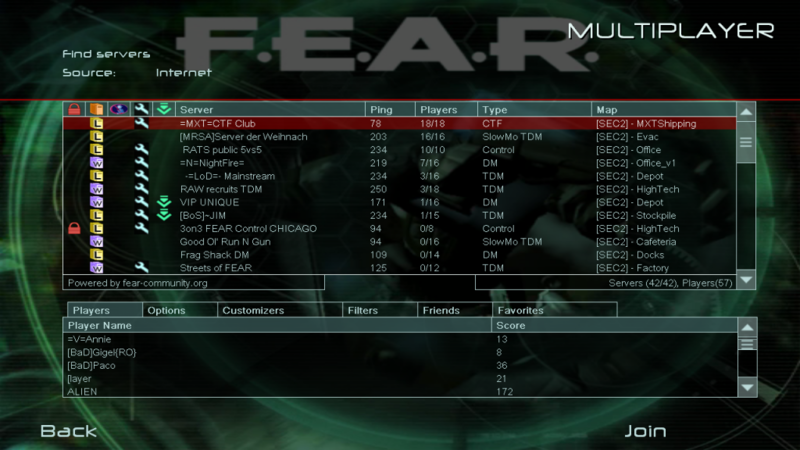 I also run the =MXT=CTF Server. There’s a group of people who has been working there, every day, from their trench. Keeping their own servers, helping here and there, with ideas, advertising, modding, and organizing events and matches. They are the FEAR-Community (Even when they refuse to call themselves that way 😛 ). Finally, there’s a base of enthusiastic players, that join the servers every day. Most of them don’t even type ingame, don’t discuss, or troll around (well, some do 😛 ). But they are constantly moving the game they love to play. Now, FEAR Combat doesn’t depend on companies that could cut the support for It; Is not a making money machine; Is a 100% Free game. This is FEAR-Community. Is not SEC2, Is not Phreeze and me. Is not the Master server Itself. Is the group of people who enjoy playing FEAR-Combat. FEAR Combat is not dead, It’s zombie; a free zombie, that survived the doomsday. hace un par de dias que el servidor no me aparece en la lista, es problema de mi compu o hay algun problema que no conozco? El problema es que tras los cambios al master server, se han rebotado packets muy grandes, como cuando se llena el server. Esto hace que simplemente no salga en la lista. La mejor forma de entrar es agregando el servidor a favoritos. De que servidor estamos hablando?